Stack racks high and save on space! One level, two levels, three.... 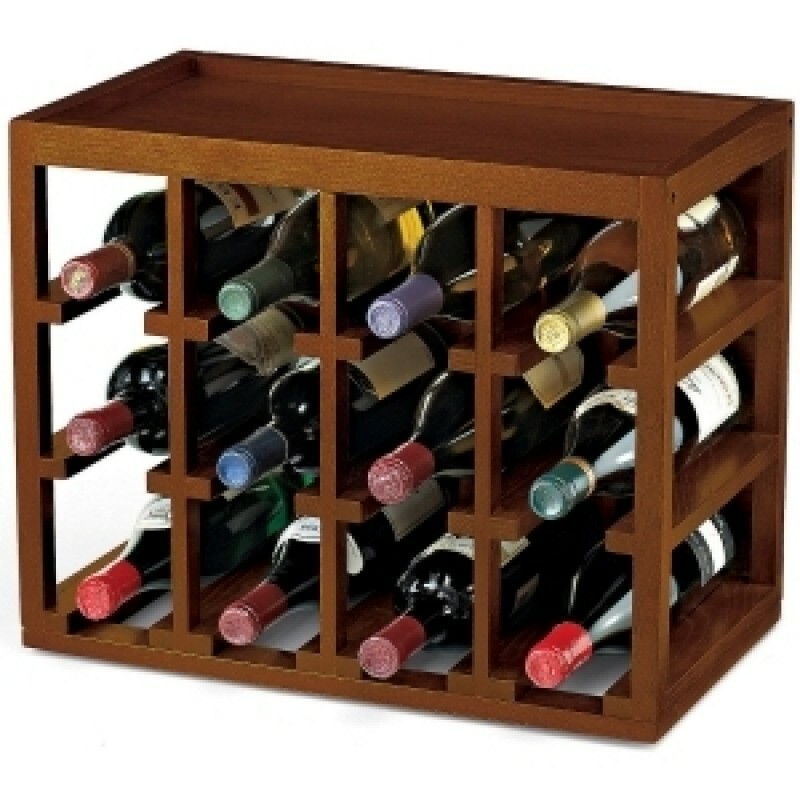 Easily adjust the size and configuration of your wine collection with this 12-bottle*, stackable hardwood rack! Designed to fit securely one on top of the other for space-saving storage. Strong, weighty hardwood allows you to stack from floor to ceiling safely. Stand alone or stack with the 12-Bottle X Rack and Wine Glass Rack for flexible storage. Perfect on a countertop. Easy to assemble. No hardware required to stack, but should be secured to the wall if 3 or more are stacked high. Walnut stained Mahogany wood.